Click on Amazon Smile Icon - Amazon will donate to SPE when you purchase any item. In 2008, five social workers experienced in working with teen parents made a bold decision to provide one-time, emergency support for single parents who are independent, self-sufficient, and heads of effective, healthy family units. ​Often, the stability demonstrated by a single-parent family can be threatened by a crisis or emergency which can be eliminated by a small grant of a few hundred dollars. Our goal is to award one-time emergency assistance grants to those applicants who have demonstrated self-sufficiency and can show that the grant is necessary to maintain that progress. Through out.reach efforts, applications will be available statewide. 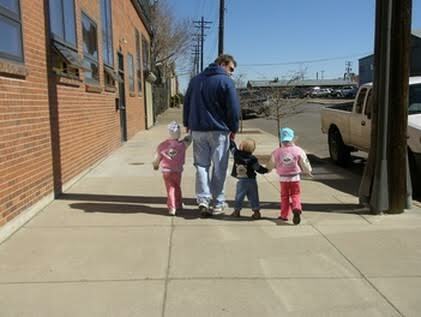 Single Parents Empowered became a Colorado charity in 2008, and received its IRS 501(c)3 status in 2009. Since 2010, SPE has granted 129 grants ($90,000.00) with an average grant of $697.00 per applicant and has served 102 children in the past two years. For year 2017, 18 grants have been awarded thus far. It is often that resources are limited for single parents who are working full time as their income doesn’t meet many state program financial criteria/guidelines. To support working single parents in their journeys to maintain self-sufficiency, independence, stability, and effective parenting by providing emergency financial assistance and referrals for life management resources.